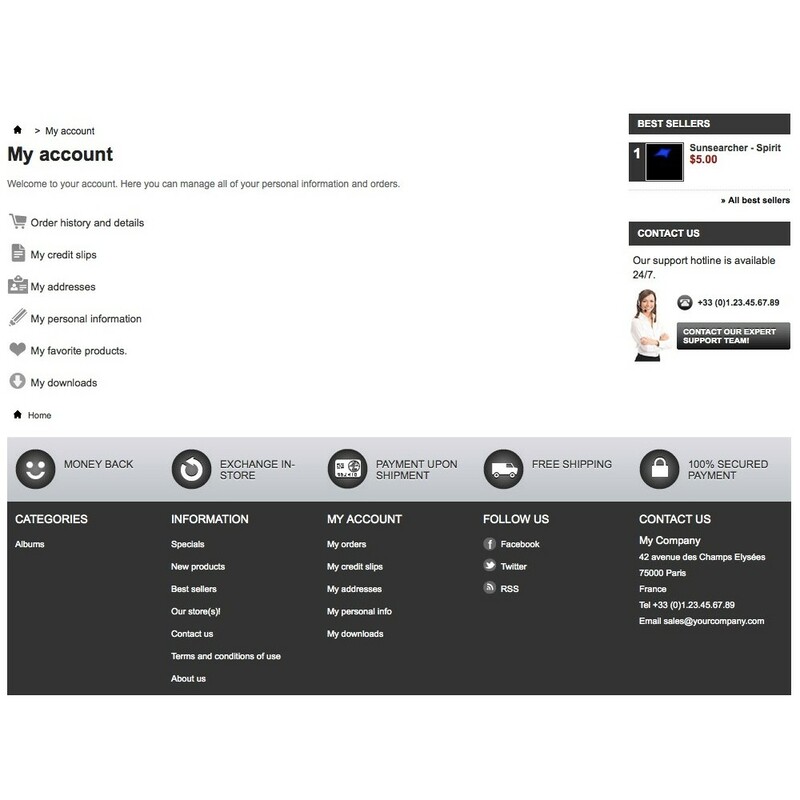 My Downloads create separate page for logged in customers, where they can download their virtual products in easy way. Thanks to this plugin you clients will be more happy with easier way of finding and downloading their virtual goods. Allows to sell digital music as whole albums and single tracks through PrestaShop. Customer now have only one place where they can see all downloads available to them. Go to Advanced Parameters > Performance and press "Clear Smarty Cache & Autoload cache"
After this few steps module is ready to go.